Stop here to hear exclusive interviews and obtain more insight into your favourite bands and artists. 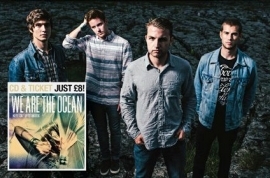 So I was lucky enough to catch up with Jack Spence from We Are The Ocean on their last UK tour date in Birmingham, just before they set off to Europe for the last part of their tour and here’s the interview below. New week! New band! New interview! Autumn Kills is a band from Stockholm (Sweden) that formed in September of 2011. 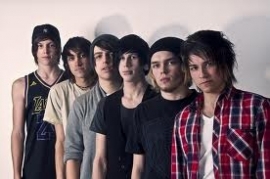 The first ever review I posted on the site was for a band called The City Calls, check out the review here if you haven’t seen it already http://www.wix.com/chloebevan/shoutitloudreviews/apps/blog/the-city-calls-a-spark-to-ignite .